Limited Edition Collections offer a fresh take on what it means to be a Champion. 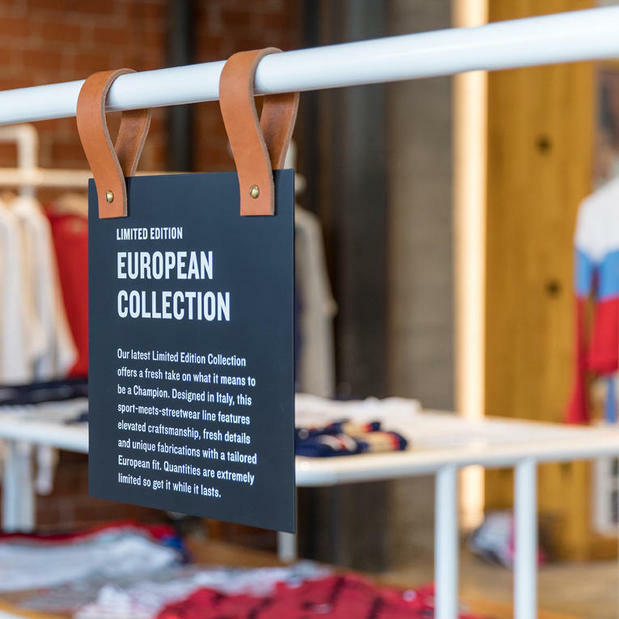 The European Collection, designed in Italy has elevated craftsmanship, fresh details and fabrications with a tailored European fit. Champion product made exclusively for your area. This signature collection embodies the culture of the city and the heart of a Champion. These products are made in limited quantities, so get them while supplies last. Make your favorite Champion products your own by mixing and matching our most iconic styles with the logo styles and placement that best express your creativity. 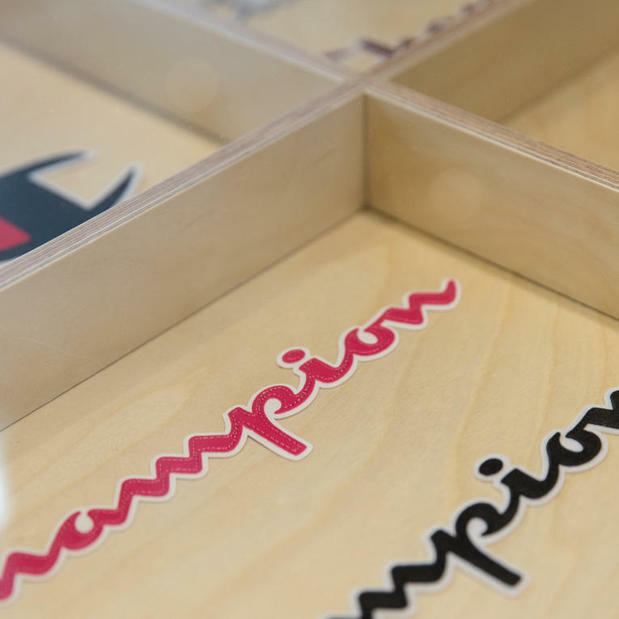 Our customization station is the best place to make your mark as a Champion. Champion Reverse Weave Sweats are legendary and in high demand. We offer the latest selection of Reverse Weave from classic to street style. Champion Athleticwear has outfitted athletes on and off the field since 1919. It’s our culture, our heritage, our DNA. 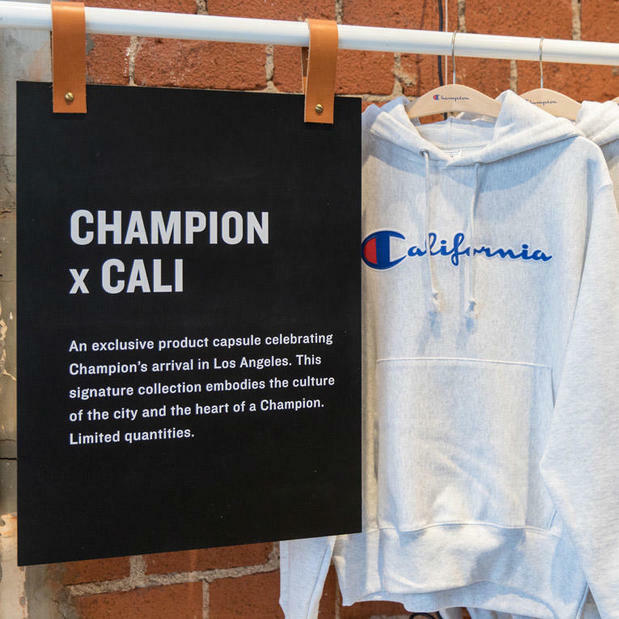 Champion is authentic athletic apparel for everyone, from everyday athletes to team sports to streetwear. 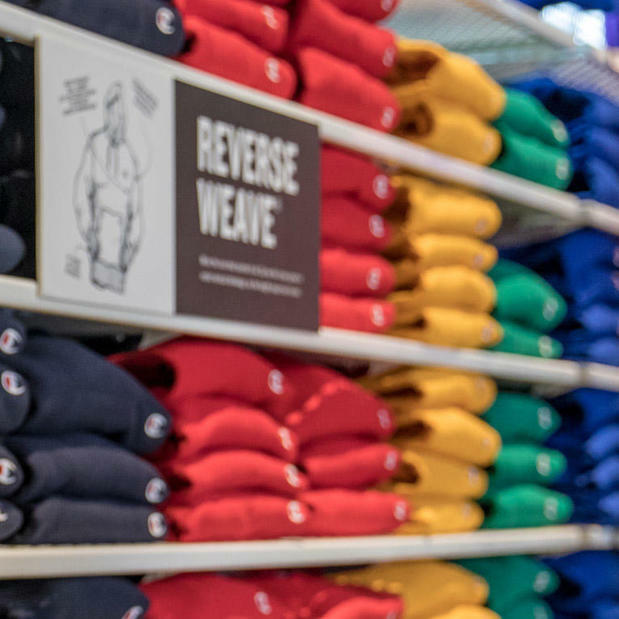 Built on a century’s worth of inspiration and innovation for athletes, we pioneered the sweatshirt with our iconic Reverse Weave® fleece and we’re home to the original hoodie. Superior craftsmanship, signature graphics and designer collaborations have elevated our athleticwear to streetwear icons. From sports bras to men’s and women's workout apparel, our performance gear brings it in a big way. Champion introduced our game-changing sports bra over 40 years ago. Our moderate and maximum support sports bras have helped women pursue their love of sport ever since. With innovation at our core, Champion tees, tanks, pants, tights, shorts and jackets feature the latest in performance fabrics. Double Dry™ technology keeps you cooler and drier no matter how hard you train. FreshIQ® advanced odor technology resists odor-causing bacteria in clothing so you feel fresh all day. Our workout apparel features the latest in lightweight, seam-free fabrics to help you train in 360-degree comfort with no distractions. We believe everyone has the potential to be a Champion. For nearly 100 years Champion has been a leader in sports apparel. A lot has changed over long history, but what guides us remains unchanged: love of sport, a spirit of innovation and uncompromised quality. 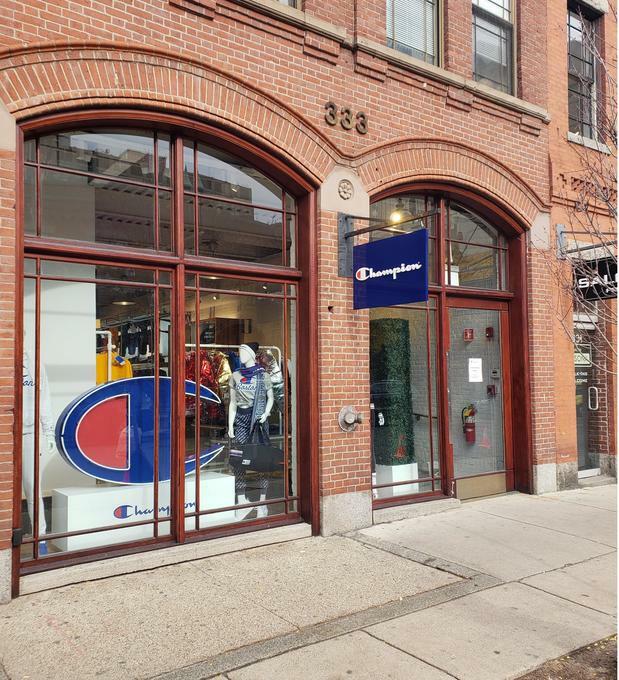 Champion Athleticwear can be purchased at department stores, sporting goods, specialty retailers, and at Champion.com. For more information, please contact us at 1-800-315-0563 or at Facebook.com/Champion, follow us on Twitter @Championusa or on Instagram @Champion. Champion is a brand of Hanesbrands Inc. (NYSE:HBI).